Stick-on raised letters. 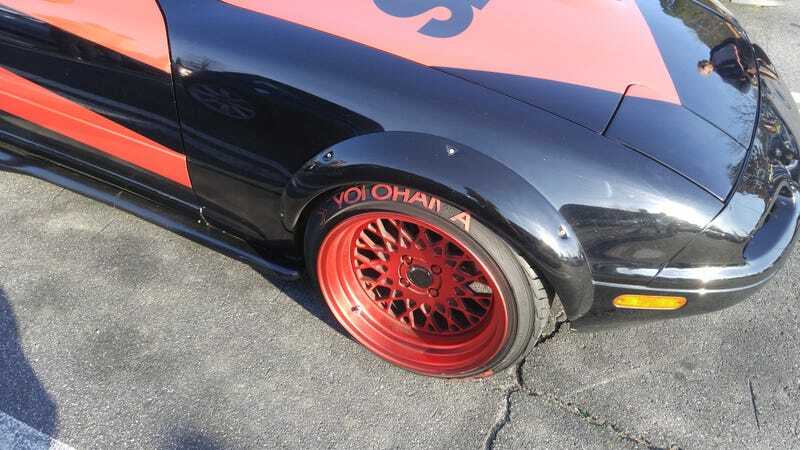 The tires actually ARE Yokohama, at least. Or YOI OHAI\ A, as he would call them.